Please make sure to login or sign up to have access to every feature. 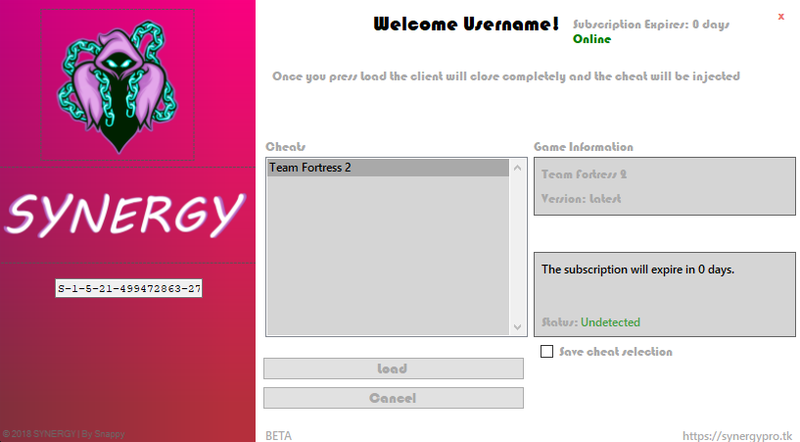 SYNERGY is a cheat provider that support different games and is present on the market right NOW!! We are currently looking for people to work on the side kinda job. Will get paid. //NEW// Point system where you can use them to save big on any cheat on our website! After getting your HardWare id, make sure to attach or paste it on your forum account.